The Tax Cuts Act was the biggest overhaul to the tax system in 3 decades. It has fundamentally changed the tax game for self-employed people. In fact, if you know what to do, there are some of the best tax savings for self employed people that we have ever seen! We haven’t seen anyone give a simple explanation of the way the game has changed for small business owners. So that’s what we want to do for you. Because, If you don’t know what is in this law, then you won’t get the savings you deserve. In fact, if you don’t take action now, you most likely pay more than you should. About the two tax systems in our country, one for employees and one for you, a small business owner. Learn how many self-made millionaires don’t necessarily make more money but instead manage their resources better. How lowering your taxes to the legal limit is the quickest way to build wealth. Discover how to force the most popular accounting systems to actually do your accounting in a way that will hold up in an IRS audit (Almost no-one is doing this and it is the reason why the IRS wins 9 out of 10 audits). Find out about other software tools that can do most of the IRS compliance work for you… Automatically with almost no work from you. Find out how to put your tax savings to work for you and design a wealth plan that is guaranteed to accelerate your ability to retire (even if you decide you don’t want to officially). How we found $10,000 of missed tax savings on the tax returns for 7 total strangers. (We did it in less than 6 minutes and all the tax returns had been professionally done). Plus we will show you how to see if you can find a quick $10,000 in hidden opportunities for free. 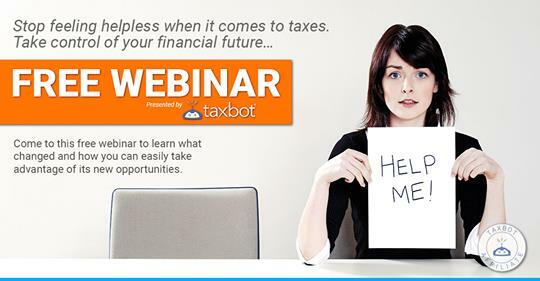 Come join us for a webinar with Former IRS attorney, Sandy Botkin.